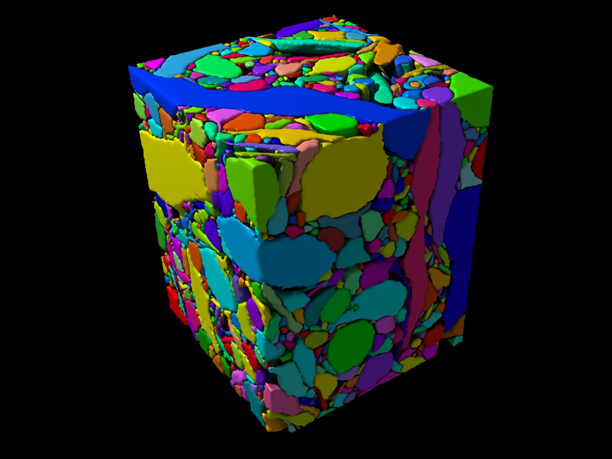 After manual segmentation, surfaces can be extracted from the volumetric data. 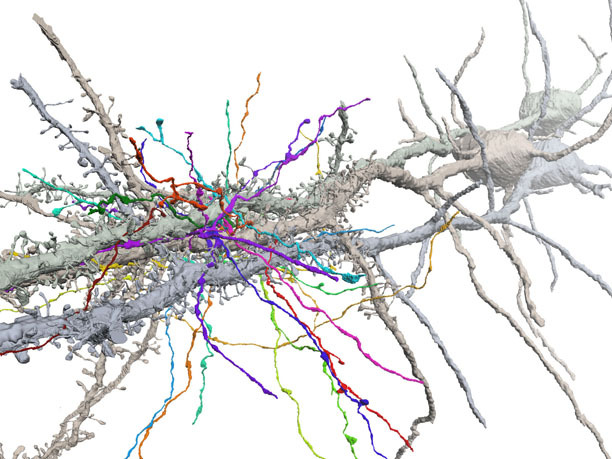 This shows the surfaces of all pieces of axons and dendrites in the volume. In this rendering, Glia processes are not labeled and appear as holes.